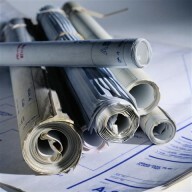 The Chamber's Plan Room consists of ordering construction blueprints and specifications for the purpose of job bidding. These plans are available to all Chamber members who are members of the Plan Room. Members are allowed to check out the plans for a 48-hour period. Cost to join the plan room is only $50 a year. This investment helps cover the cost of postage, shipping, long distance calls and other related expenses. For more information on the plan room, please complete the following information and a chamber representative will contact you with more information.